Metaphysicians tell us that an individual's DNA composition approximates one's consciousness, and vice versa: One's consciousness determines one's DNA structure. Attack one, you attack the other. Improve one and you improve the other. Mainstream Doctors Fritz-Albert Popp and Bruce Lipton both tell us that our DNA appears to be the vital link between our physicality and spirituality. Dr. Popp, founder of the International Institute of Biophysics, at Neuss, Germany, and Dr. Lipton, of the University of Wisconsin, both confirm that modern science now realizes and recognizes that our DNA structures directly reflect our consciousness. This makes it possible for us to willfully activate what science formerly called "junk" DNA, by increasing our individual consciousnesses. By activating dormant DNA, one would likely be able to perceive life beyond the five physical senses of sight, hearing, taste, touch, and smell; and one's world of spiritual intuition, discernment, judgment, and wisdom begin to develop. 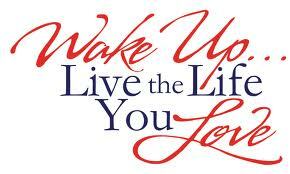 The more we learn about the negative intentions of the dark forces of our world, the more we wake up spiritually, and the more our "junk" DNA activates, if we are not overcome with negativity or fear ourselves in the process of waking up. Fear blocks any possible expansion of consciousness, which explains the constant and universal fear-mongering promoted by the private International Monetary/Banking Cartel's corporate media, all resulting in the severe stunting of our universal consciousness. The Cartel's silent, soft-kill weapons of mass DNA destruction are all around us. 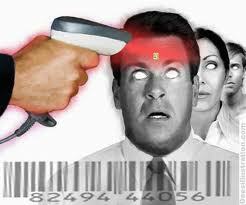 Depleting uranium, chemtrails, street and pharmaceutical drugs, vaccines, genetically modified foods, fluoride, aspartame, psychotropics, and now naked body scanners are used against us for a very basic reason: To keep us from waking up to their crimes by damaging our DNA. The Cartel's latest cloaked attacks against mankind are their so-called Backscatter X-ray Machines that expose the naked bodies of men, women and children at busy airport security portals ­ all based on the flimsy ploy of simply one "crotch bomber" at Christmas time of '09 in Detroit. Now suddenly, these Backscatter machines will be showing up at over 125 US airports. These virtual strip searches, in addition to damaging our DNA, will be setting the stage for the expansion of our world-wide cancer epidemic. Any amount of radiation is dangerous, as it is cumulative, and poses a serious threat to all living cells through which it passes, leaving behind a trail of destruction and genetic mutations. The Backscatter doesn't actually emit X-rays, but little tested T-rays, or THz waves (terahertz waves), which is radiation that is positioned between microwaves and infrared rays on the electromagnetic spectrum. Sound dangerous? It is. One would think that US taxpayers would object to their government spending so much of the people's money in order to inflict its citizens with cancer. But no, the Monetary Cartel and their dark minions in "think-tanks" are clever. Knowing that the majority of the American public cares not a whit about their personal privacy, but has huge concerns for their personal security, the dark overlords of the Cartel had their corporate media begin calling their cancer-dealing/death-dealing machines, "Naked Body Scanners." This made what little public argument there has been against the Backscatter machines a "privacy issue," instead of a "cancer issue." And the ploy has worked marvelously. Millions of Americans ­ with no concerns about how their privacy is being violated ­ still line up at full-body scanners, across the US, never knowing how those T-ray machines could eventually kill them. At best, the issue of the dangers of full-body scanners at airports and other places has become controversial. Which means, the voices of governmental "authority" wins that Info-war, given that American who can't think for themselves always defer to governmental pronouncements as being the last word. Alexandrov, and his team at Los Alamos, say that although the forces that T-rays exert are small, their resonant effects can "unzip" DNA strands, tearing them apart, thus creating bubbles in the strands that significantly interfere with gene expression and DNA replication. And whatever that means, it doesn't sound good. Also, whether you fly or not, the dark powers that have subjugated our federal government are intent on repeatedly lashing you with deadly radiation all for your own good, mind you. Our government has bought hundreds of mobile Z Backscatter Vans (ZBVs) to hunt you down, so they can shoot you with deadly radiation. But who will protect us from the terrorists in our own government, who are so wantonly radiating us onto death? It is truly amazing how much cruelty is afoot in our criminally insane world; however, the ruling financial oligarchs ­ who are causing this growing lunacy ­ are merely symptomatic of our collective spiritual state of being. Until we develop more empathy for our fellow man, we'll continue to suffer at the hands of the criminally insane. And, if you are like me, it's beginning to appear obvious that some power has far more interest in damaging our DNA, than keeping us safe from terrorists. I liked your essay on T-Waves, however at the end you faltered. Do you REALLY think Health Care Professionals are protecting you? THINK AGAIN! Although Good Radiologists may put a lead radiation absorbing pad over critical areas, for years they have not properly explained the harm done by brain scans and annually repeated mammography (can give an approximate equivalent to a year of extra age to visualized breasts, each time, increasing likelihood of cancer arising), which also involves plate squeeze pressure able to break and metastasize localized cancer tumors, but easily and more safely replaced with dark room penlight mammary visualization or more highly $chargeable infrared mammary scans. Some CAT scans are equivalent to a few years of normal natural average background radiation. Additionally, "safely only magnetic" MRI often is used with dangerous free-radical reaction inducing Injected Gadolinium Containing Magnetic Visualization Dyes, which can produce peroxide free radical chemical chain reaction cascade free radicals able to produce damage similar to X-ray induced lipid autoperoxidation chain reaction cascades, risking damage to Lungs, Kidney, Liver, when injected. See the Medical Profession for What I think it often is: An Aggressively Fee Charging, Expensive Equipment and Drugs Utilizing, Monopoly, Working Primarily for its Own Powers and Benefit$, Not Necessarily the Patients' Life. when "The Doctor Is In!"